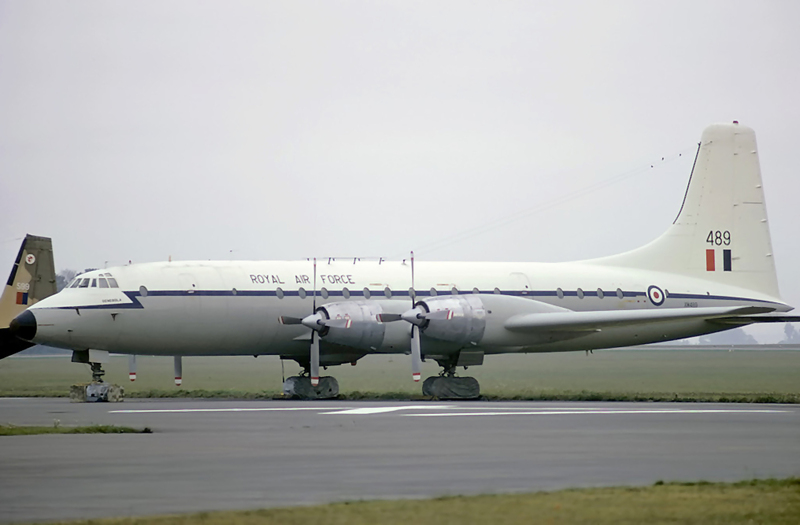 Built to contract 14293 and ordered by the Royal Air Force, this aircraft was delivered to Royal Air Force Transport Command, allocated to No. 511 Squadron, serialled as XM489 and named ‘Denebola’. Delivery took place on 04 May 1960 at RAF Lyneham. 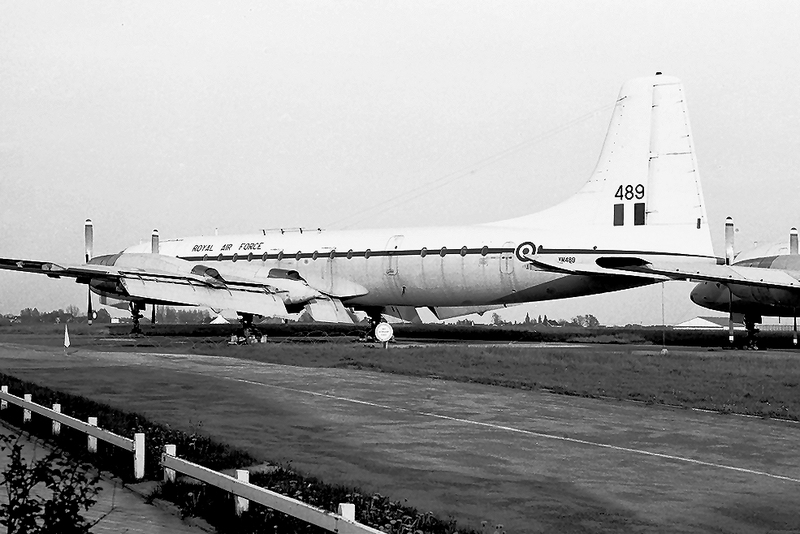 As with other Britannia aircraft within RAF she operated out of the ‘Britannia Pool’ at RAF Lyneham from September 1960. Following XM489’s withdrawal from service in September 1975 and with 19 243 hours ‘on the clock’ plus 8316 landings ‘in the book’, she was ferried to RAF Kemble where she remained in open storage until sold to the Belgian freight airline, Young Air Cargo, on 10 February 1976. This aircraft had a very short civilian life! After being allocated the registration OO-YCC and re-positioned to the Belgian company’s base at Gosselies, she was not flown operationally by Young Air Cargo and instead was used primarily as a source of spares for their other Britannia aircraft. OO-YCC was finally broken up for scrap during 1978.